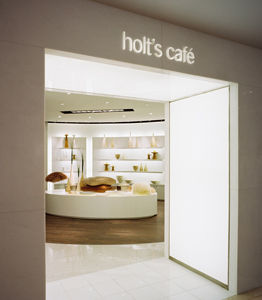 In 2006 the iconic high-end retailer, Holt Renfrew, first introduced Holt’s Café in their flagship Yorkville location. With a strategic selection of the retailer’s fashionable home décor products in a chic destination setting, the café helped position the fashion and lifestyle leader as the upmarket purveyor in Canada. Izakaya Restaurant had critics raving when it opened its doors in the Spring of 2005. 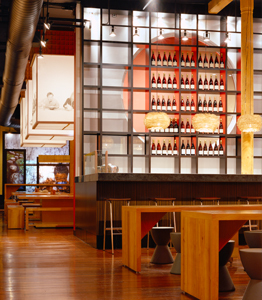 Voted one of Toronto’s Top 10 restaurants for 2005 and winner of four international design awards; Izakaya impressed guests equally with its food and interiors, a balance of traditional Japanese themes and contemporary styling. 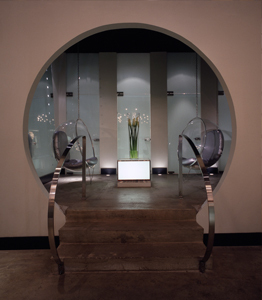 The infamous Rubino Brothers opened an ultra-cool and glamorous dining venue in 2001; the recipient of numerous international accolades including “Best of Show” at the 2001 Gold Key, Hospitality & Design Awards, Rain was at the heart of the city’s see-and-be-scene. With deflected and reflected light as the key design elements, the dramatic interiors were all about softly gleaming shapes and mysterious shadow, the perfect backdrop for sparkling conversation.